An analysis of the results of investigation into the composition of the primary coolant of power units of nuclear-powered ice breakers Soviet Union and Arktika and the Sevmorput’ light carrier has revealed that an increase in the reactor power generation above 14 TW h leads to a sharp increase in the ammonia concentration in the coolant. An assumption was made that this effect was related with the radiation-chemical synthesis of ammonia from the nitrogen dissolved in the coolant and hydrogen resulting from enhancement of corrosion of the core structural members and fuel rod claddings made of zirconium alloys. 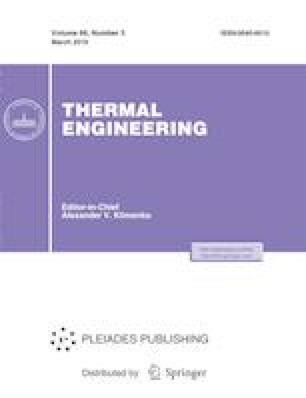 To test the proposed hypothesis on the basis of the verified MORAVA H2 software package, a procedure was developed for calculating changes in the composition of the primary coolant in water-cooled water-moderated reactors (VVER) on exposure to reactor radiation with simultaneous metering of hydrogen at a controlled rate into the primary circuit (to simulate formation of corrosive hydrogen) during irradiation. This procedure was used to perform a computational experiment to find the qualitative regularities of the effect of “corrosive” hydrogen on the characteristics of water chemistry. The dependence of the calculated ratio of molar concentrations [NH3]/[H2] on the irradiation time has been demonstrated to linearly correlate with the measured dependencies of this ratio on the power output of similar reactor units on various nuclear-powered ships. This correlation allows for the statement on a reasonable basis that the [NH3]/[H2] ratio in the primary coolant of transport nuclear units is a fair indicator of the fact of general corrosion of zirconium alloys in the core having a structural member made of alloy E110.